Mix the sugar, salt, & pepper. Put a layer of dry brine in the bottom of a plastic bag. Layer 1/3 of the fish skin side down. Cover with dry brine and layer another 1/3 of the fish, skin side up, and then repeat, skin side down. Remove air from bag and allow to brine overnight in the refrigerator, turning several times. Remove from bag and rinse the fish and pat dry with paper towels. Place on racks and allow to dry until it develops a pelicle, about 4-5 hours. Place in a smoker and cold smoke 4 hours. Raise the smokehouse temp to 125 degrees. Brush fish with maple syrup every 15 minutes until the fish is firm to the touch. Allow to cool to room temp. This entry was posted in Seafood and tagged Salmon, Seafood. 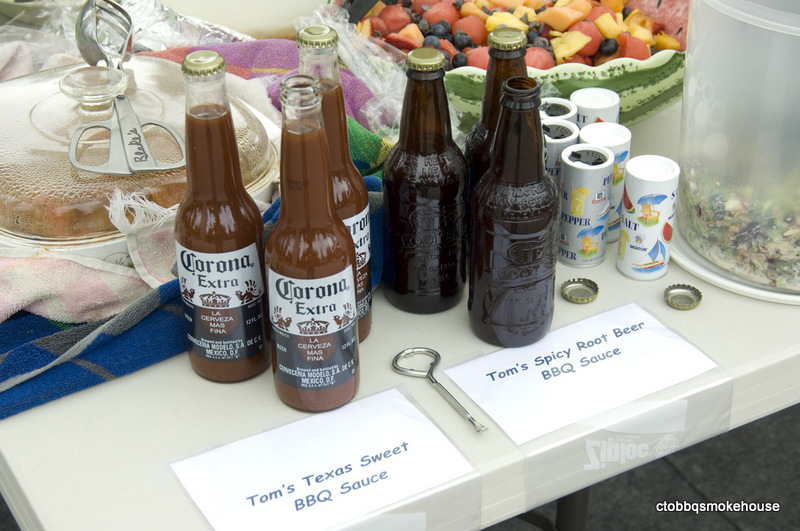 This entry was posted in Barbecue Sauce and tagged Texas Sweet BBQ Sauce. Six (6) chickens halved & back removed. Brine in your favorite brine ( mine is 4 quarts water, 1 cup salt, 1 cup sugar, 1 tsp. garlic powder, 1 tsp. onion powder). Soak 12 hours or overnight. Rinse, drain, and dry with paper towels. Season with your favorite rub. Place on smoking racks and cover with cheese cloth soaked in vinegar. 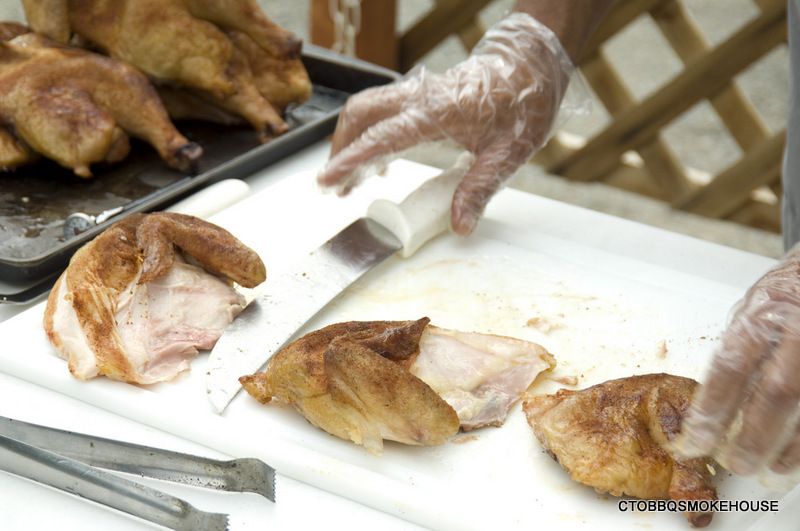 ( keeps the cheese cloth from sticking to the chicken skin). Smoke @ 275 for 6 hours. 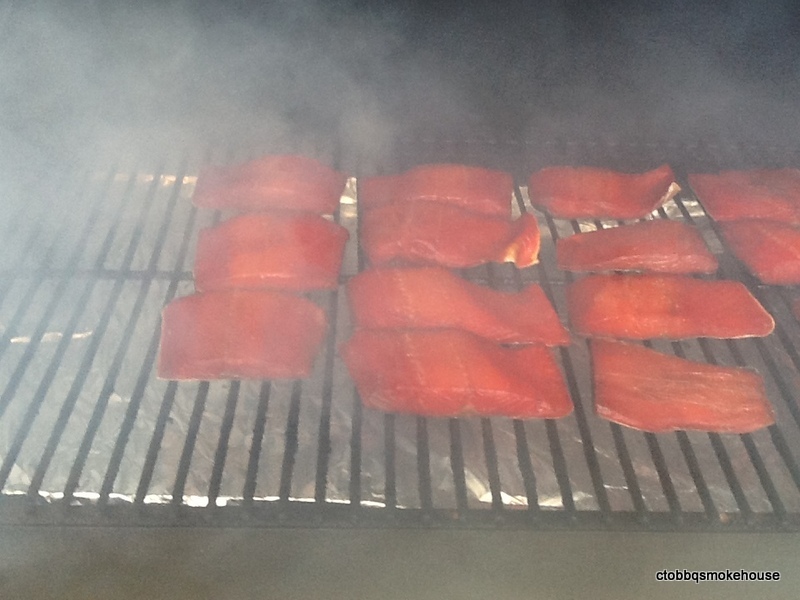 Remove from smoker and wrap each half in foil. Place in cooler for 1 hour and then cut into four ( 4 ) sections. Serve with your favorite sauce. 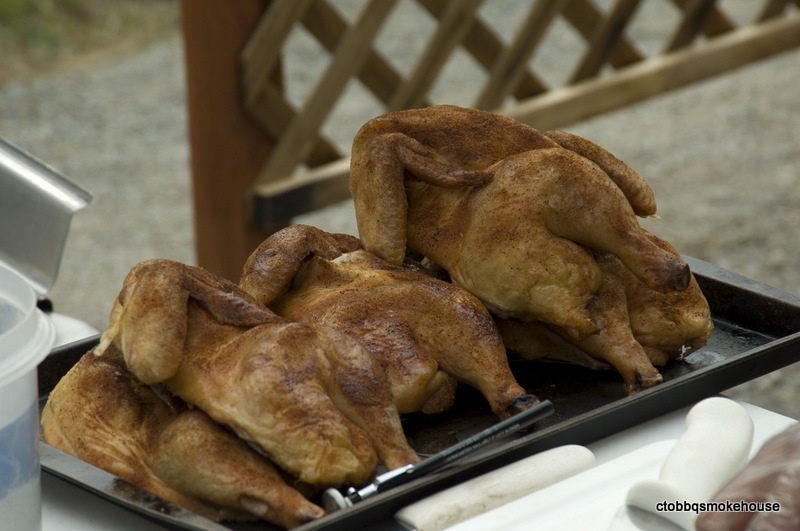 This entry was posted in Poultry and tagged Barbecue Chicken, Poultry. 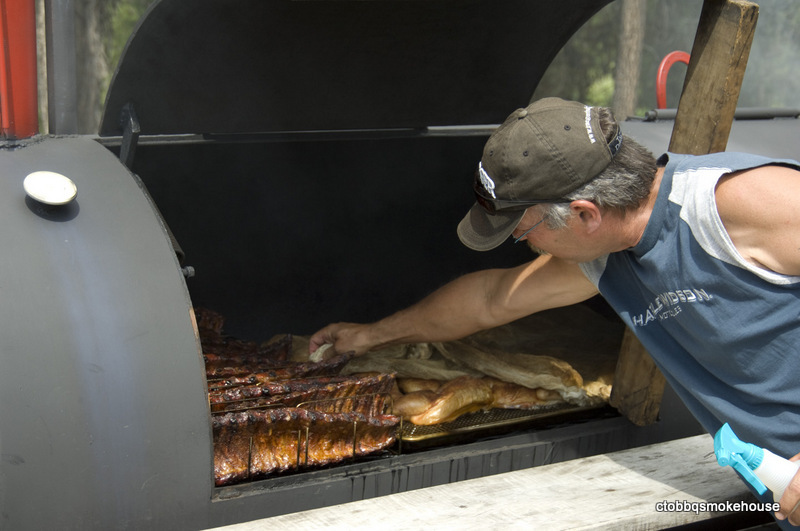 I have been serving up Texas BBQ for 25 plus years. Brisket is “King” of course in Texas, but ribs, chicken, pulled pork & sausage can also be found at most places. I love it all! I fix it all! 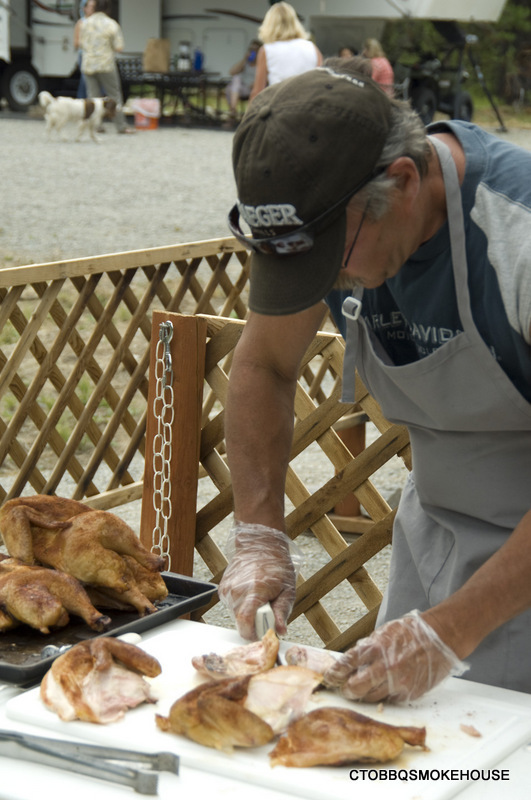 I decided to start this blog so that I could interact with fellow pitmasters, and all that have a love for BBQ. In preparation to start this blog, I made four trips to Texas this year just to hit as many “Que” joints as I could. This was to remind myself why I fell in love with Texas BBQ 35 years ago. Talked to a lot of pitmasters and just plain old folks who live for the “Que”. Everyone has their own style and their own rub, own mop, own injection, own type wood, own temp, own time, and in the end, their own “fans”! I hope by creating this blog we can talk BBQ and share with each other recipes, thoughts & ideas that are important to all of us who love to “Que”!!!! !